Spring is here, and while it brings all the things I love – sunny afternoon coffees over charlita, the springtime fairs and romerias and renewed ganas to trip around Andalucia, there’s one thing that I despise: my allergies. I cough and hack and sneeze my way into ERs throughout Seville thanks to being allergic to nearly everything in the air here but postureo. The biggest culprit? Olive trees. This from my substitute to butter, the shame!!!! I’ve been itching to visit Jaen, a province in the northeastern part of Andalucía, for years. Home to Renaissance villages, natural parks and….never-ending olive groves. While I’ll have to wait to get there, Anna Frisk of the blog Cut the Kitsch takes us on a visual journey of this oft-forgot province. 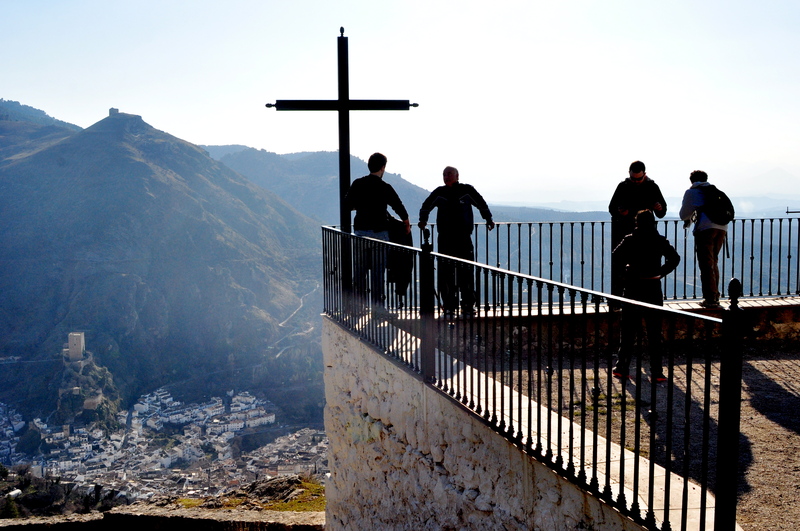 A mesmerizing sea unfolds from the perch of Cazorla. 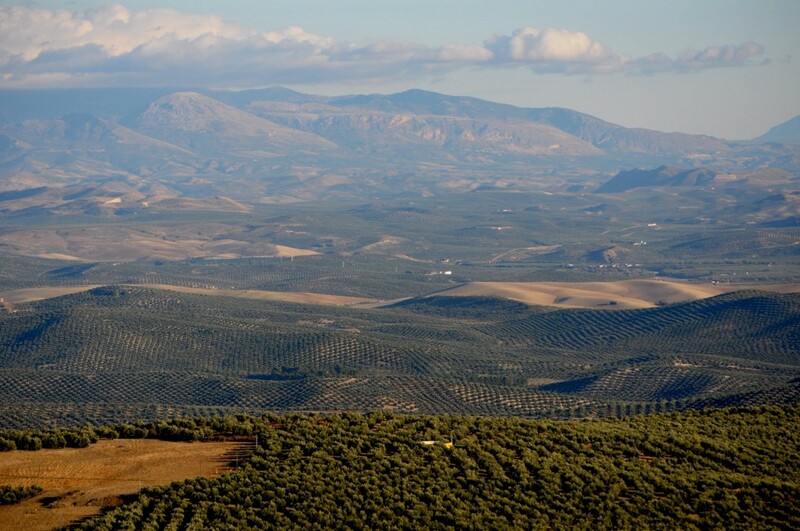 The mountainside village in Jaen is not surrounded by water, but millions of olive trees. This ‘sea’, as its name implies in Spanish (El Mar de Olivos), is an endless dotting of green. When I first came to Spain, my teaching placement situated me right in the heart of Andalusia’s olives. My previous knowledge of Spain consisted of little beyond the expected: wine, flamenco and tapas. The region’s hefty haul of olive oil production (more than 20% of the world’s supply) hadn’t registered until I saw the blur of green from the train’s windows. 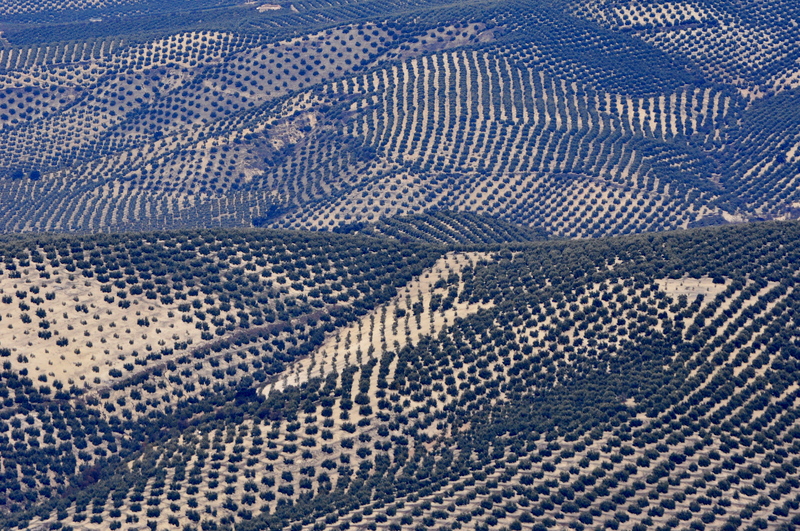 Throughout Jaen province, the sprawling pattern of olive trees gives the landscape a dual dynamism: an admirably esthetic and a pragmatic purpose. Yet in a country garnering great media attention for its culinary creations, Jaen has gotten little to none, especially outside the peninsula. Moreover, in a world increasingly consumed by the health merits of the Mediterranean diet, Jaen holds its liquid gold, extra virgin olive oil. Enter Jaen and you enter a world consumed by the olive. If you visit, here are a few musts to follow. Each town offers shops specializing in olive oil throughout the region. Walk in one, but make sure to ask. Chances are you don’t know what you should be looking for; ask the experts. They’re here. Sure, it’s not wine country, but that doesn’t mean you can’t taste your way through the region. This is perhaps my greatest olive related regret of Jaen; I never did a proper tasting. Google search “olive oil tasting in Jaen” and myriad of favorable results pop up. The region represents more than its principal fruit. Tucked within the heart of Jaen are two UNESCO World Heritage cities, Baeza and Ubeda. I had the fortunate of living in the former. While the rest of Andalusia flaunts its Moorish details (of which the two small cities still have), Baeza and Ubeda proudly tout Italian Renaissance architecture, some of the best in Spain, too. Moreover, it’s a tapas haven. If you’ve traveled through Spain before you may have realized that free and generous isn’t the rule, but the exception. This is wild Spain at its arguable best. With a park profile that includes alpine meadows, mountain ridges, pine forests, waterfalls, wild animals and more, Cazorla (nearly) has it all. In fact, as Spain’s largest protected land tract, it quickly beckons those with any inclination toward nature. It’s also tagged with the prestige of an UNESCO biosphere reserve, which means it gets additional international importance. If you visit, make time for a post-park stop at its namesake, a mountainside village that sits picturesquely beneath a castle. After snapping a photo, sit down, order a beer, and enjoy the region’s favorite aperitif, fleshy and fresh olives. Anna Frisk is a blogger and photographer who considers herself a vagabond with a day job. Anna first found the world via Okinawa, Japan. Since then, she’s trampled through mountains, temples and deserts to arrive here. Check out her blog at http://annafrisk.wordpress.com. Have you ever been to Jaén? What should I visit when I go out there? Gorgeous. We need to make note of this and maybe visit later in the Summer or Fall. We are heading to Ronda this weekend and then it will be summer break just a couple of weeks later. Oh so much to see and do in Spain! Agreed! I’ve finally been to every autonomia, but have not even seen every province of Andalusia (save out of a bus or car window!). Any big summer plans, or just the beach? I’ve never been to Jaen, but am wanting to visit since I’ll be moving to the Granada province in September. I cannot wait for all the olive oil. Ever since I studied abroad in Spain I don’t remember the last time I chose butter over olive oil. As a side note Cat, my dad has real bad allergies because of tree pollen, so he buys as local honey as he can and takes a spoonful a day throughout the year to get himself used to the pollen since there are traces in the honey. He says it’s made his allergies better every year. Just an idea. You know, I had heard about the honey business. Will try it, but I despise honey, haha! Free tapas are one of my favorite things about the province. When I first got here I was so confused because I thought people were serving me food I didn’t order…but then I realized it was free! Sometimes it’s just a little tiny bowl of ensaladilla rusa, or some jamón serrano, or snails (!) but I love it. And re: Renaissance architecture—don’t forget the cathedral in Jaén capital! Last year people petitioned UNESCO to add it to the World Heritage listing alongside Úbeda & Baeza, but I don’t think the UN has changed anything just yet. The cathedral is MASSIVE and perfectly Renaissance in every way; very similar to Granada’s but more soaring and spacious. There’s definitely encanto to every region – even Huelva!I’m hoping to get to J-town soon, as well as Ubeda and Baeza. They’ve been on my list forever, and now that I have a car, there’s no excuse! Ooh olive trees! My sister is allergic to those too and it’s bad enough in southern California…I’d imagine it’s a nightmare in southern Spain. I’ve never been to Jaén because everyone in Sevilla told me it was so ugly it wasn’t worth seeing. I can’t wait to read your posts after your trip to see what it’s like from another perspective. I had heard the same, but also that Baeza and Ubeda, as well as Cazorla, are incredible. If, in the end, the Novio gets sent to Somalia this summer (again, groan), I may take a few days to drive out an explore! Once the olives have been killed by the sun, of course. I love those views! Andalusia is an area I would love to explore more. You’re so lucky to live in Spain! …it’s all fun and games until your eyes are swollen and you’re heaving. Nah, that’s an exaggeration! Andalucía has a really interesting kind of natural beauty, definitely! It’s pretty great! Price depends largely on where you live. Expensive in Madrid or Barcelona? Yes. Expensive in a village? Nope. Consider it, and email me! Love your ode to the olive and olive oil. And the pictures are gorgeous! I think I will be heading back to Spain soon or later. I wish I lived there. I really, really, really love olives! The good, old Olive oil tour – more people should do this, it’s maverllous. Thanks for sharing your words and wonderful pictures! A’s post has me ready to hop in the car and drive to Jaén! It’s my next must in Spain.